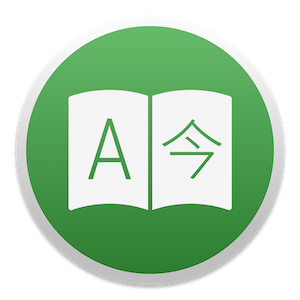 Translate like a Pro with Translatium - the most powerful Google Translate client for macOS. 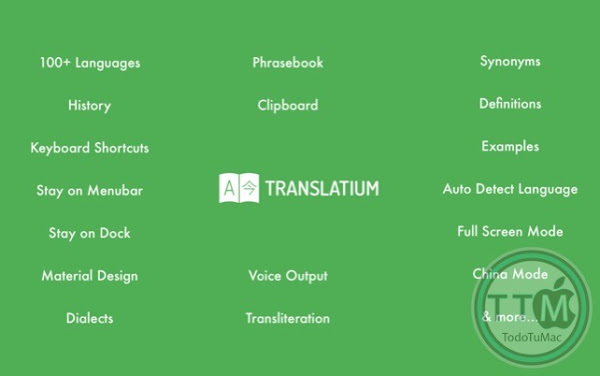 • 150+ Languages & Dialects: Translate words, phrases, and text between more than 150 languages & dialects. 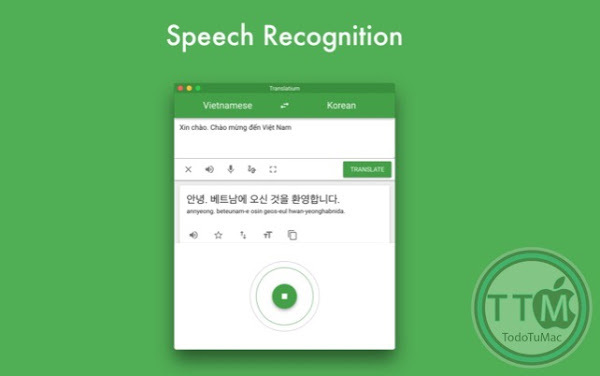 • Speech Recognition & Voice Output: Use your voice to type and listen to translations using text-to-speech. 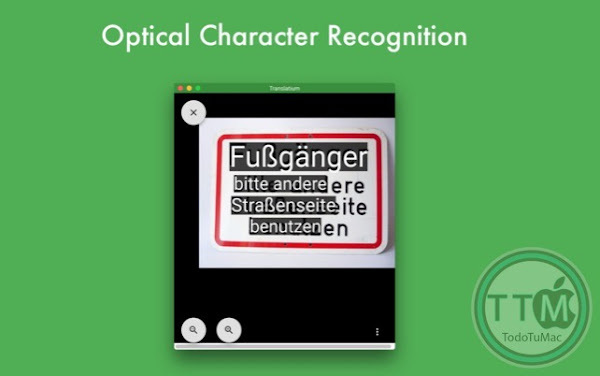 • Optical Character Recognition: Use your camera to translate text into nearly 20 languages instantly. 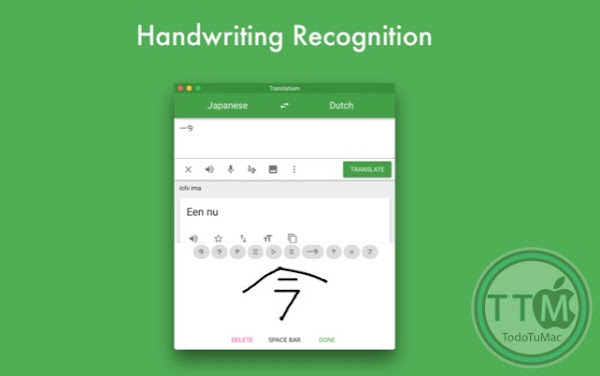 • Handwriting Recognition: Don't know how to type a word? Draw it! • Dictionary: Including meanings, synonyms, examples and more. 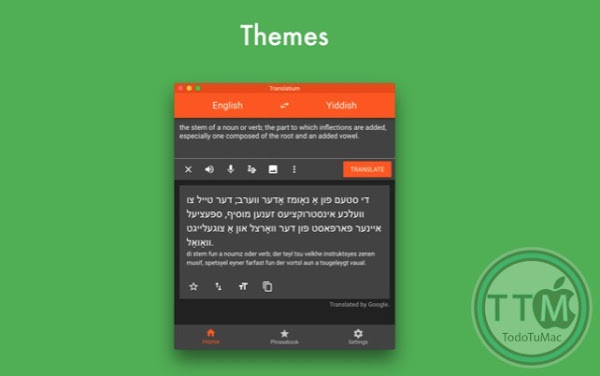 • Themes: Personalize your experience with beautiful themes and colors.